Kelantan-literally meaning "Land of Lightning"-is an agrarian state with lush paddy fields, rustic fishing villages and casuarina-lined beaches. Located in the northeast corner of the peninsula, the charms of Kelantan are found in the vitality of its culture and its remote, unsullied beauty. Kelantan offers plenty of opportunities for tourists such as river cruises, river rafting, bird watching and jungle trekking. Though not much is known about Kelantan's early history, Chinese historical documents date back the history of Kelantan between 8000 and 3000 BC. These documents chronicle the existence of a government, which maintained links with China. Kelantan was subsequently referred to as "Ho-lo-tan", "Chih-Tu" and "Tan-Tan" in these records. The territories of Kelantan and Patani came under Siam in the 14th century. Around 1411, Raja Kumar, the ruler of Kelantan, became independent of Siam and Kelantan became an important centre of trade by the end of the 15th century. Merdeka Square, KelantanIn 1499, Kelantan was conquered by forces of the Malacca Empire and became its vassal state. 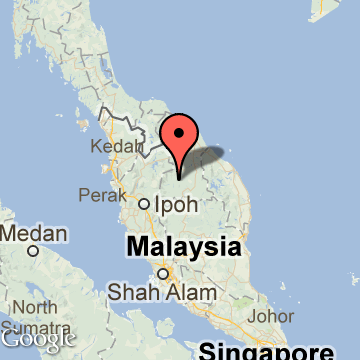 With the fall of Malacca in 1511, Kelantan was divided up and ruled by petty chieftains. With the conquest by the Siamese in 1603, most of the Kelantan chiefs became subject to Patani. Around 1760, a petty chieftain of Kubang Labu in Kelantan succeeded in unifying the territory of the present Kelantan. Soon after in 1764, Long Yunos seized the throne and proclaimed himself Raja of Kelantan. With his death, Kelantan came under the influence of Terengganu. In 1800, Raja Muhammad declared himself as the first Sultan of Kelantan. In 1812, he broke from Terengganu's influence and became a separate tributary state of Siam. In 1831, Siam divided up the old Malay Kingdom of Patani into 7 provinces each under a Siamese Governor. Siam played an important role in Kelantan throughout the 19th century. In the 1909 Anglo-Siamese treaty, Siam surrendered its claims over Kelantan, Terengganu, Kedah and Perlis in exchange with the British government for territorial claims in Siam. Kelantan thus came under the control of the Straits Settlements as one of the Unfederated Malay States. Kelantan was occupied by the Japanese on 8th December, 1941. After the defeat of Japan in August 1945, Kelantan and the rest of Malaya came under the British Military Administration in September 1945. Kelantan became part of the Federation of Malaya on 1st February, 1948 and together with other states attained independence on 31st August, 1957. On 16th September 1963, Kelantan became one of the component states of Malaysia.